Retinitis pigmentosa is a group of eye diseases where about half the cases can be the inherited and the other half does not show any family history of retinitis pigmentosa. The latest studies suggest that retinitis pigmentosa is connected with gene defects, some of these defects cause insufficient amount of a number of proteins and amino acids to be created, which cause incomplete photoreceptors with very short lifespan and weak light sensitivity, predominantly rod photoreceptors. This causes the light sensitive rods to weaken and night blindness to occur, this is the first symptom in retinitis pigmentosa, after that, loss of peripheral vision, leading to tunnel vision, then loss of the central vision, and finally total loss of vision. Retinitis pigmentosa is second to macular degeneration in the number of patients treated at the MicroAcupuncture Center. With MicroAcupuncture treatments, the retinitis pigmentosa patient can expect to regain about 15 degrees of the already lost vision field and will in most cases also note some improvements in the outer peripheral vision. In cases where the central vision (macular edema) is affected, MicroAcupuncture’s effect on retinitis pigmentosa helps to regain the central vision. After 6-10 treatments, improvements in vision can be noted in the vision field scan and the acuity test. This confirms that the treatments are working and within the next 15-20 treatments patients will note that objects come back in to view. With every treatment you have, the more vision you will gain, until no further improvement is noted over a 10 treatment segment. With 12 to 14 treatments once or twice yearly it seems to stabilize the vision. Due to the complexity of retinitis pigmentosa, it’s difficult to say when it starts, there are forms of retinitis pigmentosa starting in 8-18 month infants, then some in 2-4 year toddlers, then 4-8 year kids, and finally at 30 to 40 years of age. It is important to note that in some patients ages 2-8, the appearance of retinitis pigmentosa can be mistaken for Stargardt’s disease. So if you notice any change in vision, whatever age you are, please see an Ophthalmologist. If you are diagnosed with retinitis pigmentosa, please consider not using Birth Control and ED Medication. When you suffer from retinitis pigmentosa, there are some things you as a retinitis pigmentosa patient can do yourself to slow down the progression of the disease. When you combine positive lifestyle changes and provide your body with necessary vitamins and minerals, you will "see" the difference. 1. When you plan your meals, try to make your food as colorful as you can and eat a variety of foods every day. Try to purchase your food from different sources to increase the variety of nutrients you receive. Think about where your food comes from and what types of nutrients might or might not be in the soil. 2. Make it a habit to eat fresh vegetables every day. There is no way to replace fresh with frozen, canned, or dried vegetables. It is important to include greens in your diet and you should make it a priority to eat kale every day. 3. Take a good vitamin/mineral supplement with at least 20mg lutein and about 25,000 IU of VIT-A (max 7,500 IU Vit A palmitate) and Phosphorus, we recommend MicroAcupuncture Vision Support, and in addition to that you should take 1200 mg of Lecithin a day, which helps with your cholesterol buildup. Take a good fish oil, to maintain good blood quality we recommend Supra Krill from the cold pole waters, which is free from pollutants. 4. Make it a habit to exercise at least 30 minutes every day, drink at least 64 ounces of water a day, and try to be lean with the salt throughout your meals. 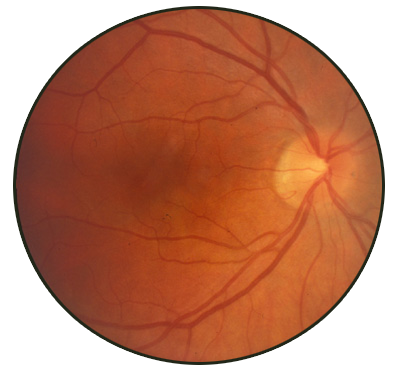 Retinitis pigmentosa starts with plaque buildup in the arteries, so protect your eyes the same way you would protect your heart. 5. To monitor the development of retinitis pigmentosa, you can get vision field scans, this will map the area and severity of the damage you have. You can have an amsler grid test to check for changes within the eye. You can also have a near visual acuity card test to check your vision in reading distance (18”) on a regular basis. You still have to keep up with your regular appointments with your ophthalmologist. For more detailed information about the nutrition for Retinis Pigmentosa, see our Retinis Pigmentosa Nutrition Page. Result from treating Macular Degeneration with Micro Acupuncture.